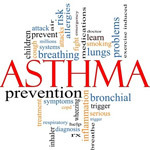 WEDNESDAY, Sept. 17, 2014 (HealthDay News) -- Exposure in the womb to household chemicals known as phthalates might increase a child's future risk of developing asthma, Columbia University researchers reported in a new study. Children had nearly an 80 percent increased risk of developing asthma between age 5 and 11 if their mothers were exposed during pregnancy to high levels of two phthalates (pronounced thal-ates), the researchers found. The two phthalates were butylbenzyl phthalate and di-n-butyl phthalate, according to the study. But, the study wasn't designed to prove whether or not these phthalates actually caused the increased risk of asthma; it was only meant to see if there was an association between phthalates and asthma. "The prenatal period tends to be when the child is most vulnerable, and in our study we did see a significant increase in asthma risk with prenatal exposure," said lead author Robin Whyatt, a professor of environmental health sciences. "This is the first study to look at the association between prenatal exposure and whether that was a risk factor for the child becoming asthmatic," added Whyatt, who's also co-deputy director of the Columbia Center for Children's Environmental Health at the Mailman School of Public Health. "The fetus is being exposed to these compounds via the mother. They readily cross the placenta," Whyatt said. Although they are no longer used to make baby products like teething rings and pacifiers, phthalates remain present in hundreds of consumer products, according to the CDC. Soaps, shampoos, hair sprays, nail polishes, vinyl flooring, detergents, adhesives and plastic products all might contain phthalates. "Phthalates are everywhere. They are in an amazing number of products. You name it, you're going to find them," said Dr. Patricia Vuguin, a pediatric endocrinologist at Cohen Children's Medical Center in New Hyde Park, N.Y. "That's why their potential impact is kind of scary." In their study, the Columbia researchers took urine samples from 300 pregnant inner-city women who tested positive for phthalate exposure. The women were black or Dominican, and lived in northern Manhattan or the South Bronx in New York City. The researchers then followed the health of the children born to these women for up to 11 years, to see if any would develop asthma. They also took urine samples from the children at ages 3, 5 and 7 to track their ongoing exposure to phthalates. Nearly one out of three children born to these mothers developed asthma, the researchers reported. They concluded that exposure in the womb to butylbenzyl phthalate caused a 72 percent increased risk of developing childhood asthma, while exposure to di-n-butyl phthalate caused a 78 percent increased risk. The researchers also found that exposure to phthalates following birth appeared to contribute to breathing problems other than asthma, Whyatt said. "We did see that the child's postnatal exposure to some phthalates were associated with airway inflammation, but not with a diagnosis of asthma," she said. The findings appeared Sept. 17 in the journal Environmental Health Perspectives. The study's limited population is a weakness, Vuguin said. "We know that the Bronx has a very high risk for asthma. The incidence rate is one of the highest in the nation," Vuguin said. "There is something in the environment there that is different from the rest of the country, and even different from the rest of New York." That opens the possibility that something other than phthalates may have contributed to the children's asthma, she said. However, prior research has linked phthalates to other allergic diseases, such as eczema, according to Vuguin. Other research, including two studies recently presented at the International Federation of Fertility Societies and the American Society for Reproductive Medicine annual meeting, has found an association between phthalates and reproductive difficulties. The American Chemistry Council declined to comment on the current study, noting that its High Phthalates Panel does not represent or produce the specific chemicals mentioned in the paper. Expectant mothers who want to limit their exposure to phthalates will have a tough time doing so, Whyatt said. "Basically, everybody in the United States is exposed to these two phthalates on pretty much a continuous basis," she said. "They are used in an enormous number of different products, and they generally are not labeled on products, so it can be hard for the consumer to know how to reduce their exposure." Whyatt suggested that pregnant women avoid storing and microwaving food in recyclable plastic containers. They also should avoid using scented products, which use phthalates to help "stick" the scent to the air freshener or laundry detergent. "That all being said, there have not been any intervention studies that have been successful in showing how much taking these steps reduces exposure," she added.